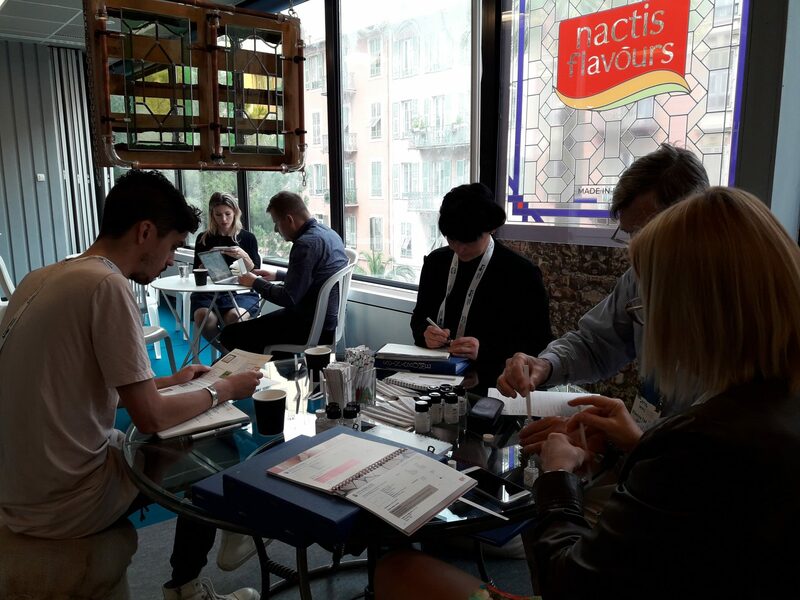 Each two years, Synarome participates in the WPC (World Perfumery Congress), which was held this year at the Palais de Congrès of Nice, France from 05-07 June. This event brings together all of the fundamental actors in the industry as well as more than 1900 participants. 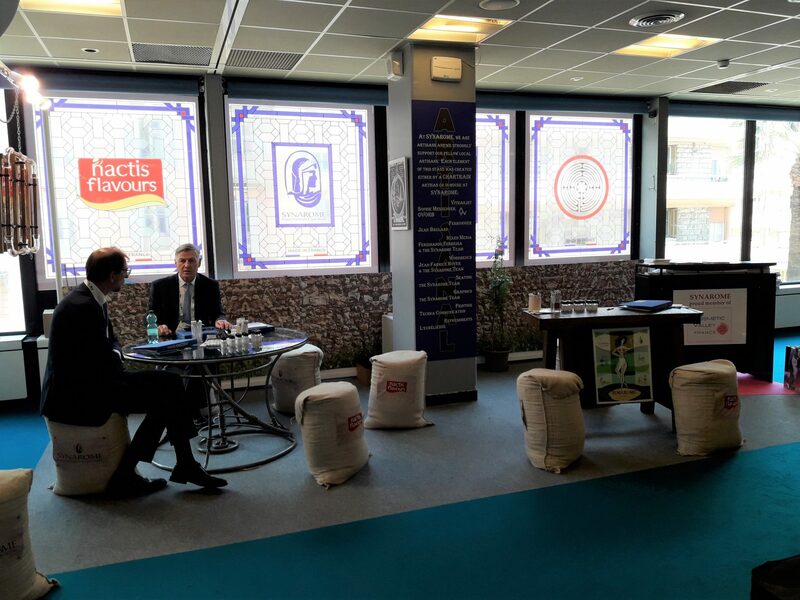 For Nactis, it was an important event for which the Synarome team prepared over several months under the direction of Achille RIVIELLO, the new Business unit director. • Techna Communications, printed and engraved the faux-stained glass panels as well as murals of the typical Chartrain silex rock walls. • The Synarome team created the burlap sack seating using sawdust employed in the Tradismoke processing. They also created the multi-media art piece using the stained glass, and materials from the production factory, including a wooden pallet and copper and glass tubes. • And, finally, l’Eurélienne, the local Chartrain brewery, which supplied several varieties of beer, including one brewed with the famous Rétrodor baguettes. • Heliotropin Diethyl Acetal, a sweet, powdery floral note that gives body and softness to the base of perfumery compositions while also augmenting the substantivity of the heliotropin note. Mimosa and Gardenia creations were used to illustrate the more intense floral effect. • Aquarome 10 TEC, a historical captive material that is aqueous, transparent, and animal. In a Sandalwood composition, Aquarome brings a very natural effect, while in a floral/powdery note contributes enormous character. • Ambrarome Absolu, the legendary ambery, animalic and leathery base that accompanies many famous creations. Ambrarome’s enrobing effect was shown in a simple lavender, while its surprising versatility was demonstrated in a cherry to bring texture and juiciness. 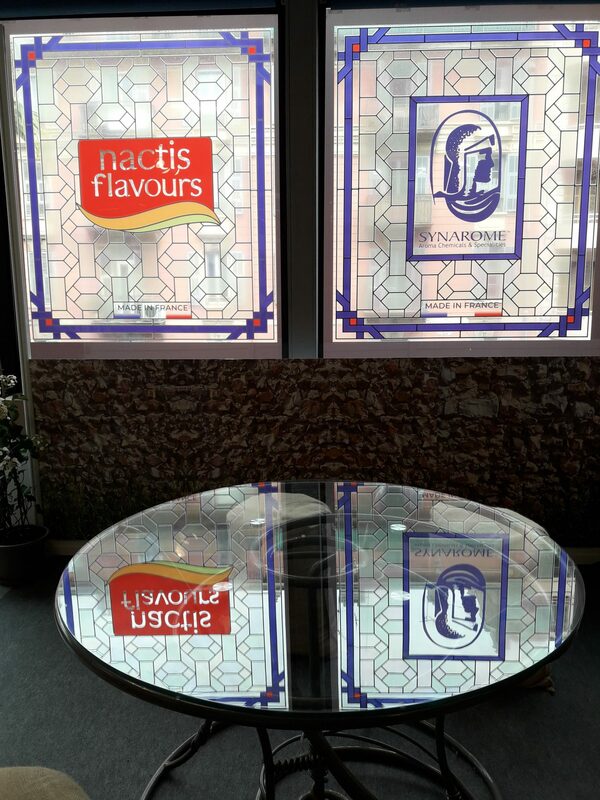 Also available for our curious customers were samples of various bases and raw materials from the Synarome catalog.